According to the Radio Times, the sequel is “definitely in the works”. And they apparently learned this information straight from the source – from Gregory herself. The author has been making the press rounds of late to promote her latest Tudor novel, The Taming of the Queen, which focuses on Henry VIII’s last wife, Katharine Parr. And she seems pretty confident that White Princess is a go. "I’m pleased to say we are in the process," Gregory told the Radio Times. 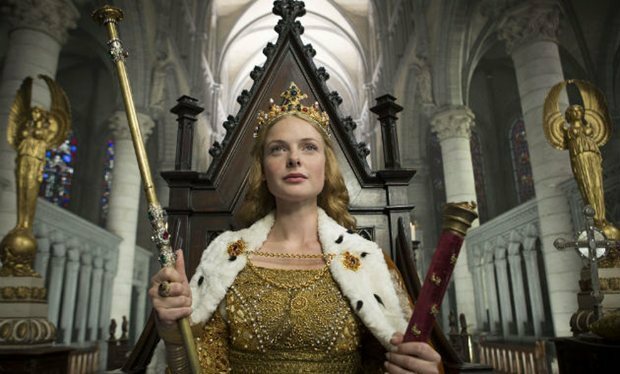 "American producers Starz have commissioned a second series which is going to be called The White Princess. It’s going to be based on the next three novels in my series of books." Focusing on this sequence of novels would allow the show to focus on another set of lesser known – and therefore dramatically interesting – figures in Tudor history and stop before the arrival of Anne Boleyn as a major player in the narrative, which let’s face it, is a story that’s been told with no little frequency over the past few years. Of course, there’s still been no official announcement or confirmation from anybody at Starz – or even a recent mention of the show from what I can find. (And the recent Television Critics Press Tour would have been a great place to at least mention that it’s in development, don’t you think?) But, regardless, you’d assume that if anybody was going to know what was up with the situation, it’d be the author herself, so I’m going to go with it until I can prove otherwise. I really want there to be a White Princess series, can you tell? What about you guys? Do you think it’ll actually happen this time? Are you still excited about the possibility? "Poldark" star Aidan Turner indicated that the popular period drama may only run through Season 5.